Nigerians have been assured that the federal government has not neglected her citizens in Juba, as discussions about their safety is ongoing. 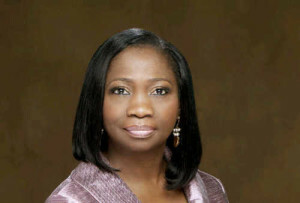 Senior Special Assistant to President on Foreign Affairs and Diaspora, Mrs Abike Dabiri-Erewa, told the News Agency of Nigeria (NAN) on Thursday in Abuja, that plans had been on to evacuate Nigerians from the war torn country. She however said that the delay was due to logistics and the non-willingness of those affected to return to Nigeria. Dabiri Erewa who spoke through her media aide, Mr Abdul-Rahaman Balogun, dismissed the claim that 100 Nigerians living in juba were stranded. She said that federal government had offered to evacuate Nigerians from Juba in the early stage, but the delay was due to logistics, but that there was no immediate threat to their security and safety. However, many refused due to their businesses that needed to be secured. According to her, most of them have very good investments in Juba and they are afraid of losing them, so they don’t want to be far away from it even if they are evacuated. Dabiri Erewa however assured that there has been a regular contact with the Nigerian mission in the country and necessary steps are being taken to ensure safety of the people. She explained that although relative calm had returned to the country, but the federal government was still ready to evacuate those willing to come back home as soon as possible. The Spokesperson for the Ministry of Foreign Affairs, Mr Clement Aduku had earlier said that the ministry was monitoring the situation in Juba. Aduku said that the Nigerian mission in South Sudan was in contact with the ministry, while assuring that the welfare of Nigerian citizens in the country is guaranteed. Fighting broke out in Juba on July 7, in the world’s newest country. Hundreds of people, mostly soldiers, have been reportedly killed in the fighting between rival armed groups since then, raising fears of a slide back into all-out conflict. Report says that uneasy calm has returned to South Sudan’s capital, Juba, on Tuesday after five days of fierce fighting between troops loyal to President Salva Kiir and First Vice-President Riek Machar. The relative calm comes after the two leaders ordered a ceasefire and directed all commanders to lay down arms and report to their unit bases. No fewer than 272 people have been killed in the renewed fighting that threatened to plunge the world’s youngest nation into war.